The measurement identifies the phases present in the sample. Adjustment of peak position leads to determination of usual morphologies and provides a quick access to their characteristic dimensions. Figure 1. 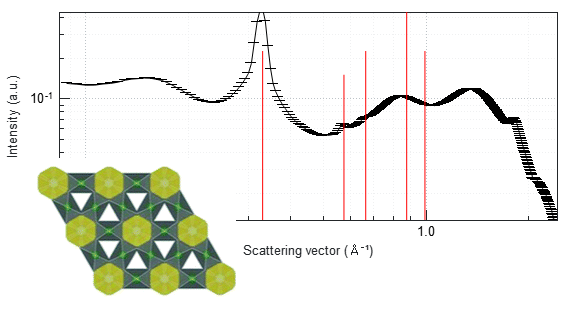 Identification of a hexagonal 2D supperlattice. Why use SAXS for phase identification? 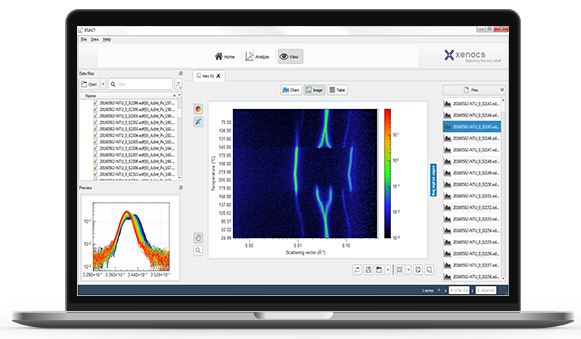 It accurately reveals the evolution of phases as a function of external parameters such as temperature, reaction time or shear.